The ninth season of the Superkarts! USA Pro Tour is set to begin this weekend with the second running of the WinterNationals. 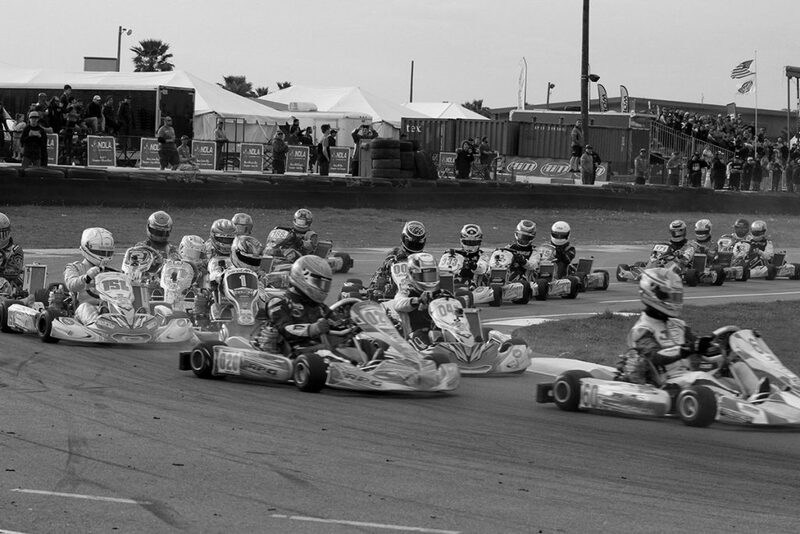 What began with just under 100 drivers in northern California back in April 2010, SKUSA now welcomes over 200 from around the world to compete in North America’s top karting series. The three-event, six-round championship begins in Avondale, Louisiana at the NOLA Motorsports Park. The gem of the bayou opened in 2011 and quickly gained world attention in 2013 when hosting its first world event. The Alan Wilson-designed facility provides multiple configurations, with a 17-turn, 1.1-mile layout used in last year’s SKUSA WinterNationals returning. Lap times will be above the 1-minute mark, with the quickest category of S1/S2 inching to break into the 59-second barrier. eKartingNews.com is ready to be at NOLA Motorsports Park, providing the industry-leading coverage trackside. Karting enthusiasts not in attendance can listen from home or on the road to the EKN Live broadcast at www.ekartingnews.com/live with Rob Howden providing the play-by-play call. Daily reports and updates on the EKN Social Media network will fill up your timeline throughout the weekend. First, EKN begins with a look at all nine categories competing this weekend. A preview of the Stock Honda divisions was published on Wednesday, while a look at the IAME classes is below. The 2017 championship chase in X30 Senior went down to the wire, and was the closets finish in SKUSA Pro Tour history for the category. Looking at the returning drivers and contenders for 2018, it could be just as competitive for the SKUSA crown. The king on the throne for the past two seasons as been Florida driver Ryan Norberg. A privateer in 2016 that won three main events used consistent finishes last year to remain as the champion in 2017, helping him to also earn the EKN Driver of the Year honor. The SKUSA #1 still remains on the side of his Birel ART machine into the new season, still holding the bulls-eye as the driver to beat. SKUSA #2 and #3 Jake Craig and Brandon Jarsocrak are returning. Craig (Tony Kart), the 2014 champion, came four points short of a second title, losing out to Norberg. The California driver returns having shown well as the eKartingNews.com representative at the Mazda Road to Indy Scholarship Shootout. Jarsocrak is entering a new era. Still with KartSport North America, the ‘Shillington Slingshot’ has moved over to the Kart Republic brand. Jarsocrak won in his debut on the chassis at the SKUSA Winter Series, and the brand won the championship with Italian Lorenzo Travisanutto. Samuel Lupien (Kosmic), Alex Bertagnoli (Merlin) and David Ilavia (CompKart) finished inside the top-10 of the SKUSA Pro Tour standings a year ago, returning as top contenders in 2018. 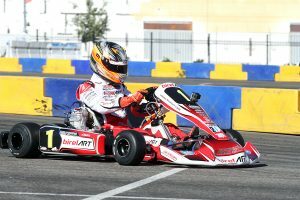 Nicky Hays (Birel ART) is now a two-time California ProKart Challenge champion, hoping to transition that success on the SKUSA Pro Tour. Dante Yu (CompKart), Billy Musgrave (Mad-Croc) and Sonny Cervelli (Aluminos) also hail from California, with a large number of west coast drivers making the trek. Christian Brooks left the WinterNationals last year as championship leader thanks to two runner-up finishes. His move to CRG Nordam could trigger a better result, teamed with SKUSA Winter Series vice-champion Callum Bradshaw from Great Britian. Bradshaw has been successful in his last three trips to the USA, standing on the podium at the SuperNationals in November along with three of the four in Florida. Jorge Pescador (Praga) is the only other driver outside of North America in the field, adding another strong veteran to the roster. 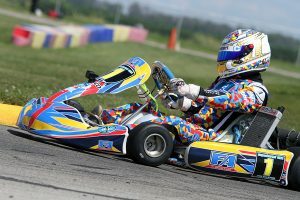 Among the top rookies set to make their SKUSA Pro Tour debut in Senior are Trey Brown (FA Kart), Joseph Daniele (OTK) and Hannah Greenemeier (Kosmic). To win at the WinterNationals in the X30 Master division would be to win against some of the in the world. Of course, two-time defending SKUSA Pro Tour champion Derek Wang is on that list. His performances here in the states and around the globe have proven that. Wang (FA Kart) however suffered his first defeat in the last three years, losing the SKUSA Winter Series title to Brazilian Renato David (Birel ART). 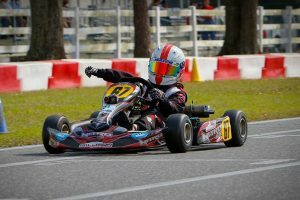 The 2016 SKUSA SuperNationals winner was able to secure the title with victory in Ocala. David may not be the more recognized driver from his country in NOLA, with three-time SuperNationals winner Leonardo Nienkotter (CompKart) in attendance. The fellow Brazilian making his first SKUSA Pro Tour start outside the Vegas spectacular. Laurentiu Mardan, who hails from Romania, shocked the paddock with his stellar performance at the SKUSA SummerNats. Two wins at New Castle helped to propel Mardan (Kosmic) up to second in the standings, giving him the SKUSA #2 plate for 2018. One driver who may have had a shot at the title a year ago was Jess Peterson. The first-year Master driver swept the SpringNationals, however, did not race any other event. Despite this being the first WinterNationals for Peterson (Birel ART), he is among the contenders out of the box. Add in Jonathan Silva (CompKart), Vatche Tatikian (Ricciardo), SKUSA Winter Series winner Scott Roberts (Tony Kart), and not to mention 2015 SKUSA Pro Tour champion Nick Tucker (Fullerton) making a return behind the wheel. The X30 Junior category has gotten a younger average age with the graduation of a handful of drivers up and the many Cadet drivers moving up. Tyler Gonzalez is among the most decorated drivers in the field, as a SuperNationals winner in 2016. 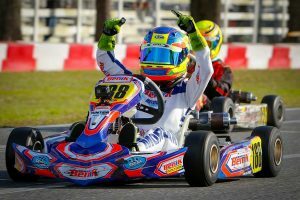 Gonzalez (Tony Kart) finished second at the SKUSA Winter Series after missing out on the championship podium at the Pro Tour in 2017. Arias Deukmedjian (Tony Kart) and Jeremy Fairbairn (Kosmic) are the only two returning drivers from the top-10 in last year’s Pro Tour standings. Both were among those in contention at the ‘Spring Training’ program this winter. As was second year Junior drivers Tyler Maxson (CRG) and Thomas Nepveu (Birel ART), along with Junior rookies Reece Gold (FA Kart) and Luca Mars (Energy). 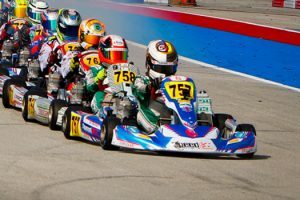 A number of drivers are making Junior debuts at the SKUSA Pro Tour. SKUSA SuperNationals Mini Swift winner Connor Zilish (Tony Kart) is among them along with Branyon Tiner (Tony Kart), Cole Morgan (Tony Kart), and Santiago Trisini (Kart Republic). Others to watch include Pauly Massimino, making a debut with Kart Republic along with Alan Tang (Top Kart), a winner at the California ProKart Challenge opener. Missing from the field is SKUSA Winter Series champion Sebastian Montoya racing in Europe, along with Jak Crawford, Colin Queen, and Joseph Brienza. The Mini Swift title also went down to the wire in 2017 with California driver Carson Morgan securing the championship. Morgan (Benik) secured the crown with two podium finishes at the SummerNationals, and has a shot to match the back-to-back title record set by Colton Herta in 2010 and 2011. Brent Crews (Nitro Kart) is among those returning to contend for the 2018 championship. Crews was the 2017 IAME International Final winner, and started out the year with the SKUSA Winter Series championship. SKUSA Winter Series race winner Jeremy Fletcher (Tony Kart) and James Egozi (Tony Kart), who finished third in the ‘Spring Training’ standings, are other contenders returning this season. Chase Gardner (Vemme) and Kai Sorensen (Benik) have been strong this winter at the Challenge, searching for more success to begin the Pro Tour. Logan Adams (Benik), Jace Park (Parolin) and Alex Powell (Energy) are looking to improve from 2017. A number of drivers are moving up to the Mini level. Last year’s SKUSA Pro Tour Micro champion Elliot Cox (Energy) leads the graduating class. Fellow Benik drivers Mateo Rubio-Luengo, and Miguel Costa have shown strong pace already at the SKUSA Winter Series. SKUSA Pro Tour winner Sebastian Ng (Nitro Kart) is moving up along with Christian Miles (Formula K) and Logan Toke (Top Kart), coming off a double win weekend in CalSpeed. The numbers have not grown in the Micro Swift class with a number of driver moving up to Mini, however, the competition level remains strong. Ben Maier (Nitro Kart) holds the momentum in the category, having won the SKUSA Winter Series title. Parker DeLong (Benik) and newcomer Max Garcia (Benik) each won a race at the ‘Spring Training’ to put them in as top contenders. Returning drivers to the class include SummerNats winner Caleb Gafrarar (Parolin), Danny Dyszelski (Energy), and Ethan Ayars (Parolin).